Rugby's Local Plan looks set to deliver around 12,400 homes, allocate 110 hectares of employment land and more than 8,000 square metres of retail space - but Rugby council is withholding the publication of independent government inspector Mike Hayden's report until after the May 2 local elections. The inspector's report will set out if changes made by the council to the plan are acceptable to make the Local Plan 'sound'. After the Advertiser was told by the Planning Inspectorate that the report had been handed to the council, it asked the council for an update on the progress of releasing it to the public. And today, April 15, in response, Rugby council said officers had decided to withhold the inspector's report on the Local Plan because of purdah, and that the report will be published on May 7. A notice of the council's decision appeared on its website at around the same time. Purdah restricts what councils can publish in the run up to elections to avoid voters being influenced or thinking that the council is trying to influence them. A spokesperson for the Planning Inspectorate told the Advertiser: "The final report was sent to the local authority [Rugby council] on 27 March and it should be published on their website." Adam Norburn, executive director of Rugby Borough Council, said: “Guidance issued by the Government makes it clear public authorities must restrict publicity on contentious issues during election periods. "Following discussions with the council’s legal team, I sought independent legal advice from a QC on whether publication of the Inspector’s report during purdah put the council in a position where it was publishing material which could potentially influence the democratic process ahead of the local elections on Thursday 2 May. 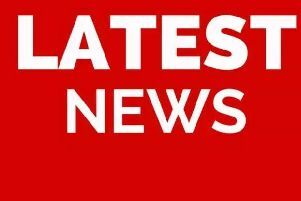 Rugby council's decision is at variance with the decision of neighbouring authority Harborough District Council. 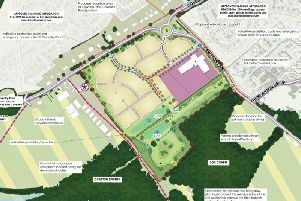 Harborough council is also under purdah and is considering its Local Plan, which includes controversial plans for the expansion of Magna Park at Lutterworth. And today, April 15, Harborough council published a new report received from an inspector which discusses their Local Plan.